The Watershed Conservation Resource Center (WCRC) partnered with private donors to implement the restoration of Osage Creek near the mouth of the Illinois River. 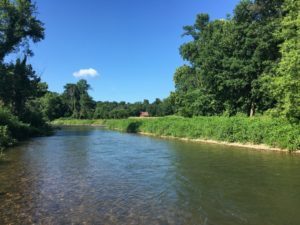 The project goal was to improve water quality by reducing total phosphorus, total nitrogen and sediment loads into the Illinois River. 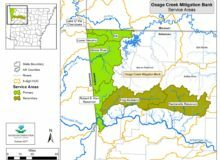 The October – December 2015 project restored over 6,000 feet of Osage Creek and its tributaries, including the enhancement and preservation of 5,000 feet along its banks. The WCRC acquired all materials needed for construction and hired an experienced construction company to build the design. Trees with root wads, typically burned, was salvaged from lands that were cleared for pasture and hauled to the site. Majority of the rock, ranging from standard shot rock size to large boulders, was delivered to the site from construction sites in Fayetteville, where it was intended to be disposed in a landfill. The WCRC oversaw the construction activities and conducted finishing and revegetation activities. 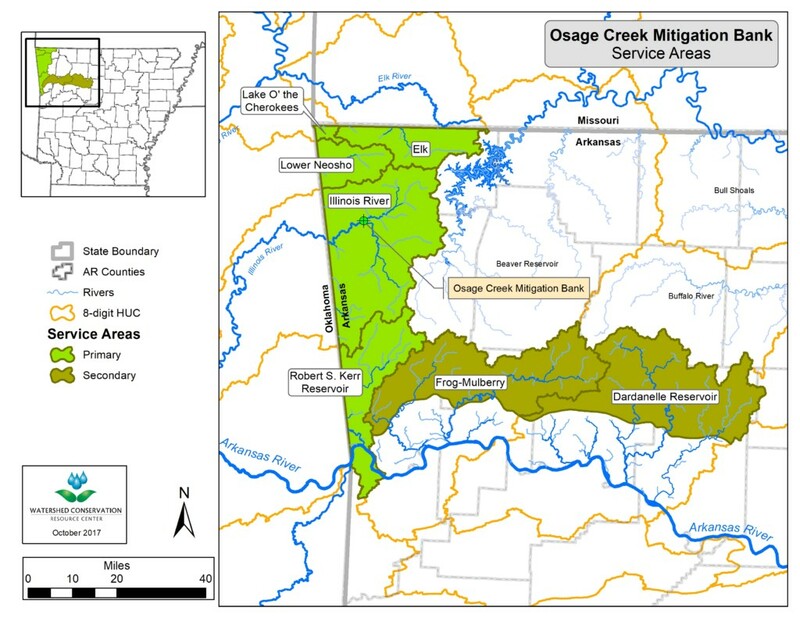 The Illinois River and Osage Creek Tributary saw record flooding in April 2017, just one year after the completion, and the project received no structural damage.